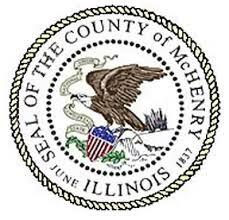 Today’s vote by the McHenry County Board to deny the motion to put township consolidation on the March 2016 primary ballot came as a surprise to some, but was, in my opinion, the correct one. I’ve said all along that I don’t know if consolidation would lower taxes or raise them, but I could not support putting the measure on the ballot unless the proponents made their case. They didn’t. I couldn’t support a leap of faith to change things from what they are now on the strength of some vague promise that their claims would prove to be correct. Without hard numbers to back up their claims of cost savings, the proponents were left to say that they preferred leaving the issue to the voters, saying that between today and the primary, both sides would make their cases. They said that they didn’t want to stand in the way of the voters by denying them their voice on the matter. What they failed to understand was that the voters have spoken, they spoke when they elected the members of the County Board to do what governing bodies in a representative republic are supposed to do: they’re supposed to examine the issues and make decisions as to what is and is not in the best interest of the County. They are, in effect, the gatekeepers to the voters’ best interests. That’s where those who supported this measure failed. They were repeatedly asked to make their case, they had ample opportunity to examine the claims of cost savings and to show us that what they proposed would accomplish those savings. Those numbers were there before we got to today’s vote, and they’ll be there tomorrow. But today was the day that mattered, and they came up short. Having failed to prove their case, they were left with nothing more than an appeal to emotion. The people of this country are justifiably outraged at government at all levels. An appeal to the emotions of an outraged citizenry is certain to gather support. But again, it’s the job of our elected representatives to overlook emotion, and to do what is in our best interest without passion or prejudice. It’s the job of the members of the County Board to to represent us, it’s what we elected them to do. Today, those who voted “no” did their job. This entry was posted in Cost of Government and tagged McHenry County Board, Township Consolidation. Bookmark the permalink. The voters won regardless. I work for Springfield Township, Springfield Illinois. The citizens like township government. It is local and they know the elected officials. They are their neighbors and friends. At tax time they, especially elderly, like coming in and seeing those officials. They will stay and talk and talk. They do not want to go “downtown” and hassle with parking etc. Only reason for consolidation is so the counties make more interest on the bank deposits. Leave everything alone. It will not make things “more efficient”. The bottom line is, the people don’t need the county board to do ANYTHING, if they want to consolidate, they can do it themselves. It is obvious that they don’t want it and I’m glad that the board didn’t feel it necessary to make it happen.